Taking a vacation once in a month is a self happiness. However, it is always difficult to set the destination since there are too many choices to visit. After deciding the decision, then you will be confused of preparing the transportation to go there. To Choose the right transportation when traveling is sometimes a dilemma. Many say, traveling by plane is much more convenient than traveling by train. In fact, travelers can also enjoy taking the train. 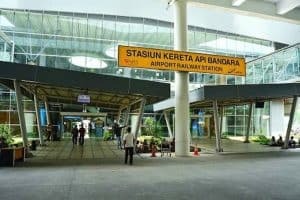 You see, there are also many train stations in Indonesia that have good buildings, are comfortable, clean, the architecture is unique, and the facilities are very adequate. 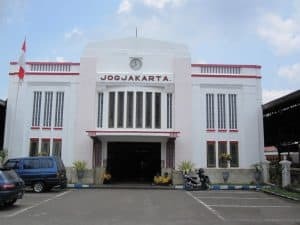 The following is the list of famous railway station in Java. Gambir Station is the busiest station in Jakarta that has been built since the 1930s. This station was formerly called Koningsplein Station and was renovated in the 1990s. Gambir Station serves business class and executive train transportation for major departures in Java. In addition, Gambir station is also the main meeting place for employees of PT KAI Daop 1 Jakarta. And this station has three levels. The first level is an ATM. main hall, window, several restaurants, and shops. Second level, there are fast food restaurants, and cafeterias. While the third level there are platforms (where passengers pass by the train station) which consists of four lines. Bandung Station is the largest station in the city of Bandung. This is located on Jalan Kebon Kawung no. 43 (north door) / Kebon Kawung street no. 43 (south door). It is often called the hall station because this station has a building that is quite large like a large hall. It is also famous as a city transportation terminal. There are many angkots that go to the station. 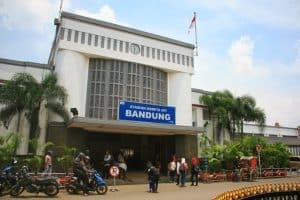 The Bandung Station has six main lines used for train stops, as well as train shelters before departure. The station is also equipped with a locomotive depot (a place to store, prepare, inspect, maintain, and repair lightly so that the locomotive is ready to do its job of pulling the train circuit) which is quite large. Kuala Namu Airport Station has a modern, all-glass, and minimalist architecture, such as overseas stations. You can feel the sensation of taking a train like taking a plane if you transit at this station. No wonder the Kuala Namu Airport Station is so chaotic because the building is still relatively new. Besides the cool building, this station also has access to work directly to downtown Medan. This Kuala Namu Airport Station has three platforms. Platforms one and three are used for new arrivals from Medan Station, while the second platform is used for passengers going to Medan Station. Surabaya Gubeng Station is the largest train station in East Java and is the main train station from the city of Surabaya, especially those that pass south from the east. For trains that go through the northern route, such as the Jakarta-based train via Semarang depart from Surabaya Pasarturi Station. Surabaya Gubeng Station is very unique because it is located at a height of 5 meters and has two functionally different sides. The west side building is used for the departure and arrival of economy and express trains. While the east side of the building for the departure and arrival of business and executive trains. This functional difference makes this station have two names, namely the Old Gubeng and the New Gubeng. Medan Kota Station is a train station which is at a meeting between Kelurahan Kesawan (West Medan) and Gang Buntu (East Medan). Located at an altitude of more than 22 meters and is the center of the Regional Division 1 North Sumatra and Nangore Aceh Darusalam. Every day, Medan Kota Station serves 2000 to 2500 passengers throughout North Sumatra. The architecture of the Medan Station has changed a lot from its original form to a more modern one. What’s left of the old building is the clock tower on the front of the station. Yogyakarta Station is the busiest train station on the island of Java because this station is in a busy train crossing, from morning, afternoon and evening. This station uses three languages, namely Javanese, Indonesian, and English. Moreover, Yogyakarta Station is the only station that still preserves its Javanese culture. There is a place to eat and rest with the Javanese interior. Yogyakarta Station is quite magnificent because it has the latest two six lanes, namely three lanes on the south platform, three more lanes on the northern platform. And this station also has a tunnel that connects the southern platform with access out via Pasar Kembang. 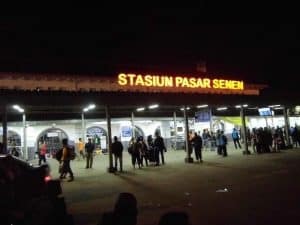 Pasar Senen Station which is familiarly called Stasiun Senen has been established since 1916 and was inaugurated on March 19, 1925. This station is a station located in a crowded area near the Planet Youth Center and serves train and economy class destinations from Purwokerto, Kutoarjo, Yogyakarta, Semarang, Solo, Malang, and Surabaya. 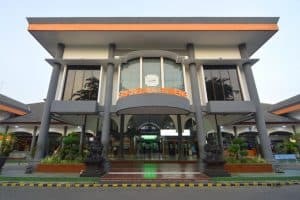 At Pasar Senen Station there is a building that separates the railway lines and has six lines with three main lines in the middle of the two station buildings. 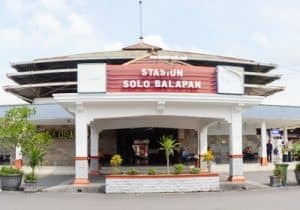 Solo Balapan Railway Station is one of the major train stations under the management of PT. Kereta Api Indonesia (Persero). Balapan Station is located at Jalan Wolter Monginsidi No. 112 Kestalan Village, Banjarsari District, Surakarta City, Central Java Province. If you want to go to Surakarta, you might pass this station when you by train. The location of this station is west of Pasar Ayu, or north of Hotel Pose In. This station became famous because it was found on the song “Stasiun Balapan” by Didi Kempot, a famous singer in Java. Those are famous railway station in Java. Have you decided to go by train and see all the facilities at those stations? Now, feel free to set your own traveling and never be afraid to go everywhere by the train.